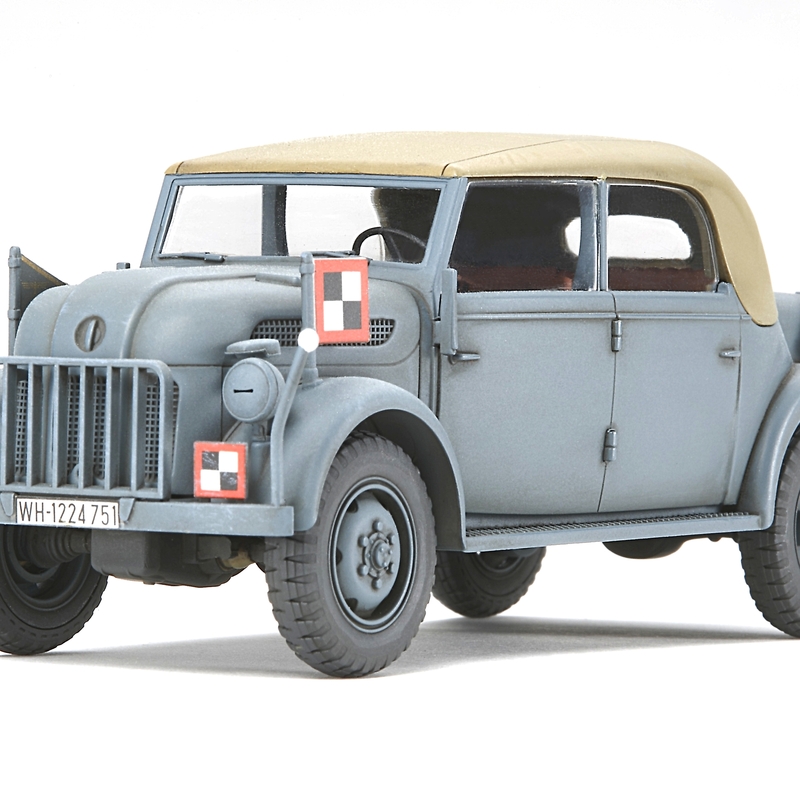 From 1940, in order to unify vehicle types and raise productivity, the German Army pressed 4WD vehicles with a truck base like the Steyr 1500A into service. The Steyr 1500A came with a 85hp air-cooled engine and could reach a top speed of 100km/hr on road surfaces.Also, thanks to its excellent suspension, it was converted and used as a truck, a troop carrier (being able to carry up to 8 soldiers), and as a staff car for high ranking officials. The Kommandeurwagen could comfortably seat 5 people, and thanks to its performance ands peed it could be seen at numerous fronts from Russia to North Africa. 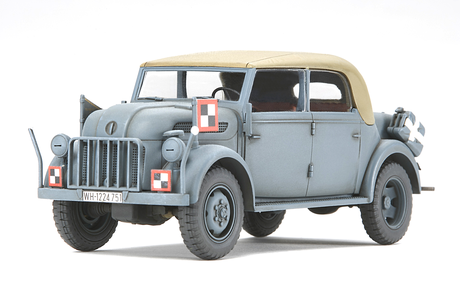 This is a finished model of the 1/48 German Steyr Type 1500A Kommandeurwagen. You are able to display your model as it is, once removed from its packaging. This finished model features its own distinct numbering which is different from the assembly kit model. After the washing process, a light weathering is administered which enhances the realistic finish of the Kommandeurwagen. Special spincast parts add to the feeling of weight to the Kommandeurwagen.